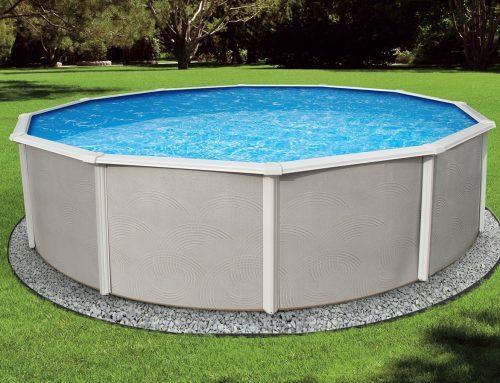 …but what makes Guardian Pool Fence the best pool fence? Our lower hinges have a slanted top cap which makes it very difficult for kids to have a foot hole and climb over the gate. No other company uses this part to prevent climbing. In our stainless still hooks and eyes connecting the fence sections can be locked with a solid grasp padlock. For additional security we have a locking deck sleeve. Many cities have approved this for the local building codes. 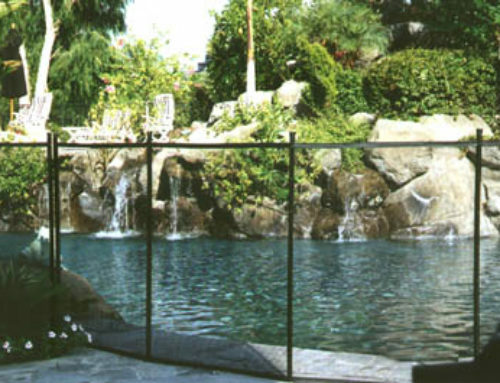 Guardian Pool Fence Systems are available in several different colors. You can get it in, black, green, beige and brown. We can also mix different color poles with different color meshes. We can also change the borders on the fence to accommodate each backyard to make it as aesthetically pleasing as possible. We use a bonded thread on our nylon border which prevents mildew. The border on the thread is protected from harmful ultraviolet rays with UV inhibitors which can weaken the thread and lead to exhilarated deterioration. When looking at most mesh fencing our eyes are focused on the poles and the border because we are tend to look through the fence. We try to match the border and the poles with the surroundings. Our mesh is the most transparent in the industry because the size of the holes and because of the combinations of borders and poles that we use. 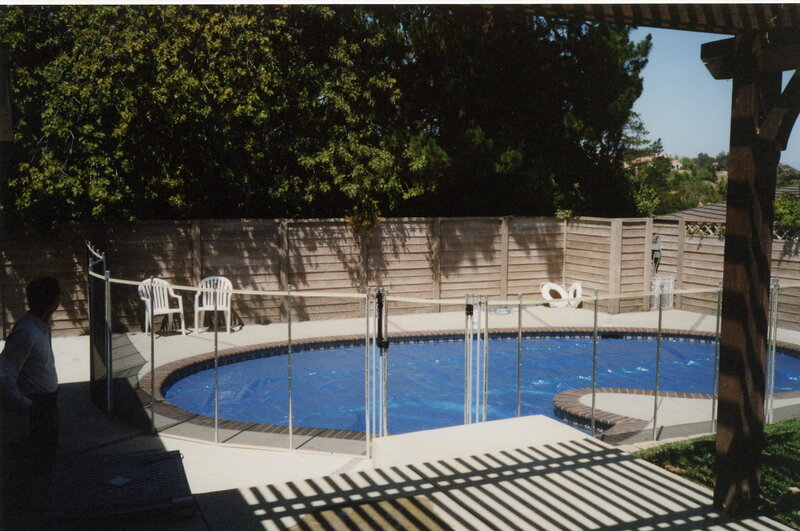 Guardian Pool Fence Systems has three heights available. 4 foot high, 4.5 and 5 foot high. 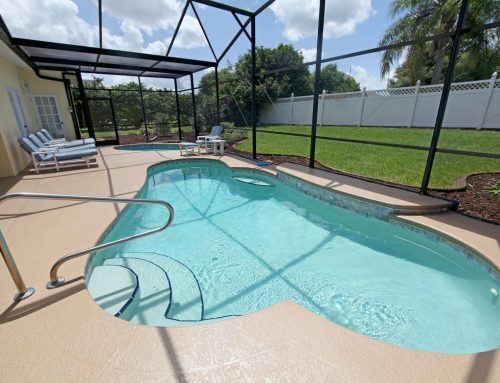 The height of the fence should be determined by the location of your patio furniture and your backyard configuration.